A hardy grey-green leaved shrub with tubular red & green flowers. 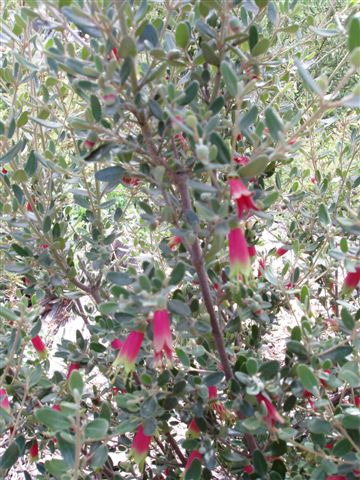 Grows in the mallee area of South Australia and is very adaptable to most soils and situations. Responds well to pruning. Attracts hummingbirds and makes a good low screen.